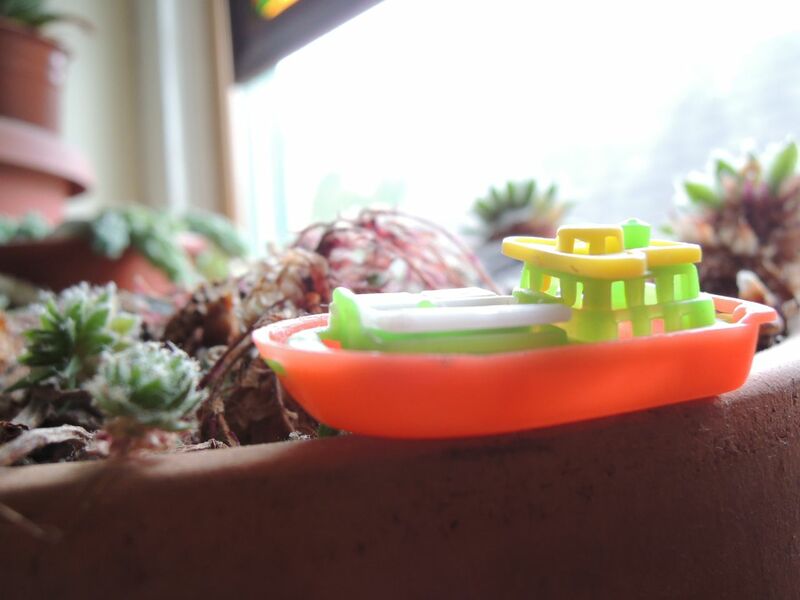 There are tiny ships all over my house. They’re making small voyages to places near and far. The fleet may be braving high seas or enjoying a peaceful afternoon, but they cannot escape from small boys. 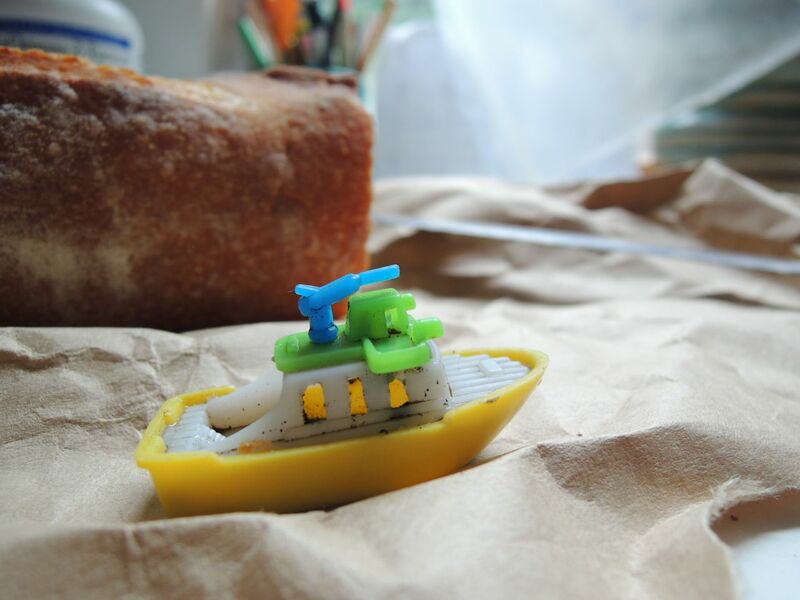 Sometimes the ships are in the yard, other days they’re navigating around a sandwich or motoring behind a toothbrush. Every now and then one ends up in a bowl of breakfast cereal. 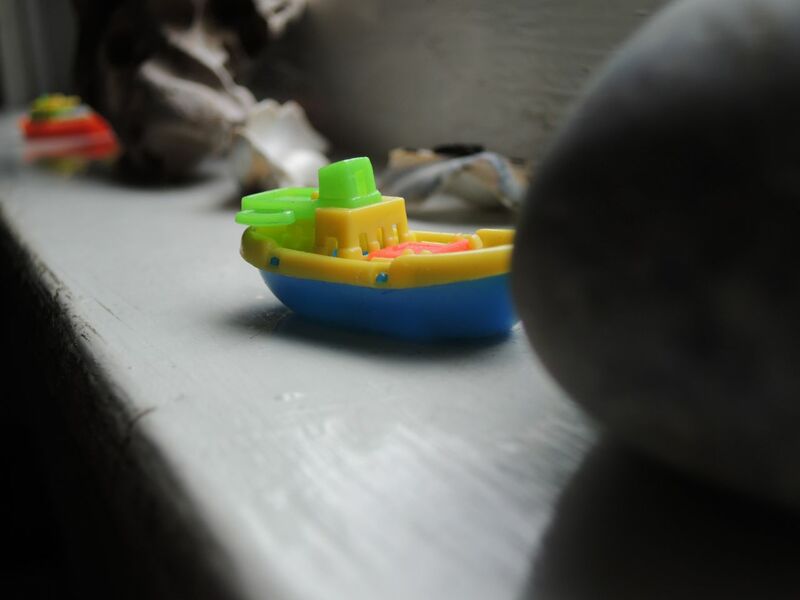 Whether a ship is snug in a windowsill harbor or scuttled after a bathtub tsunami, when I find one in a new location, I smile and get a tiny inspiration for my next trip. Previous Skate Jam. A Play in Four Acts.